Bardot’s neat contemporary styling, luxurious moulded cushions and attractive modern chrome trim will enhance any modern living space. 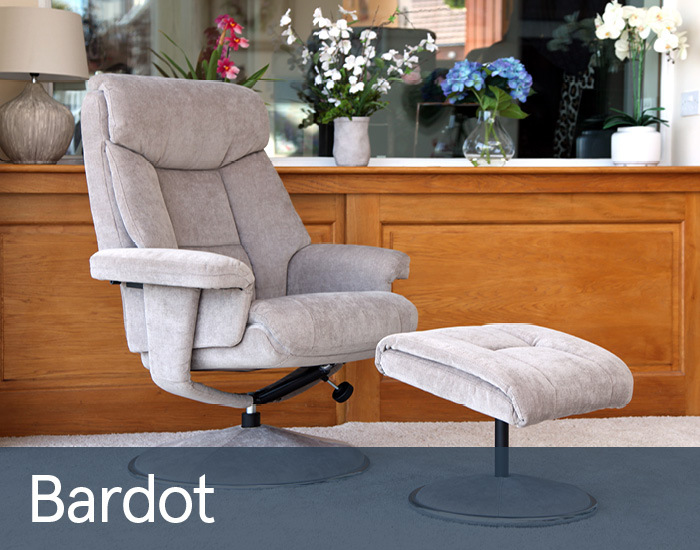 Whether it’s to read, watch TV or snooze in, you can sit upright, semi or fully reclined using Bardot’s tension-adjusted easy lean-back mechanism. This luxurious swivel recliner chair also includes a free angled footstool to ensure complete relaxation.